Rick Geary on All Things Considered. Wow! What a treat between Christmas and New Year’s! Author Duane Swierczynski chooses 3 favorite true crime graphic novels on today’s All Things Considered on the NPR network, heard by millions across the country, and one of them is Rick Geary’s The Terrible Axe-Man of New Orleans! Try TWO decades, Duane, but hey we love it! This just ran on the East Coast, you might still be able to catch it on your radio! See or hear the full review. Author Terry NantierPosted on December 27, 2011 Categories Blog, Events, ReviewsTags All Things Considered, NPR, Rick Geary, The Terrible Axe-Man of New OrleansLeave a comment on Rick Geary on All Things Considered. You can also download this ballot. 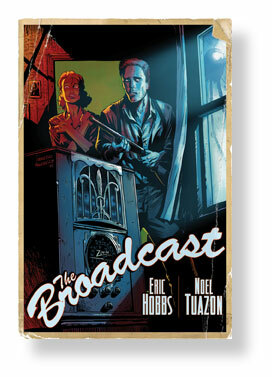 Author Terry NantierPosted on April 28, 2011 Categories Blog, EventsTags Eisner Awards, Eric Liberge, Nicolas De Crecy, On the Odd Hours, Rick Geary, Salvatore, The Terrible Axe-Man of New OrleansLeave a comment on Eisners: go and vote! *Rick Geary gets a nomination in this year’s Eisner Awards in the Best Reality Based category for Treasury of XXth Century Murder: The Terrible Axe-Man of New Orleans. 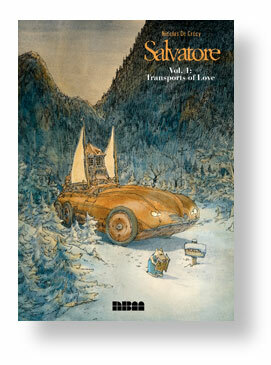 *Nicolas De Crecy gets one for Best US Edition of International Material for the recently released first volume of Salvatore. 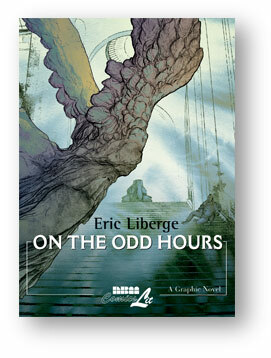 * And Eric Liberge is nominated as Best Painter/Multimedia Artist for On the Odd Hours in the Louvre series. 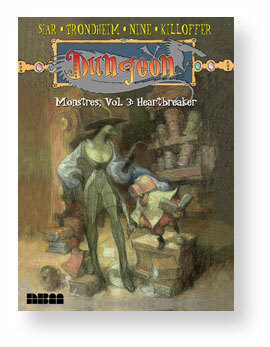 If you’re a pro voting on the Eisner Awards, we hope you’ll give these the nod! 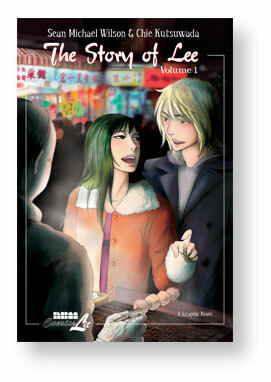 Sean Michael Wilson of our forthcoming The Story of Lee got a great piece in the English language Japan Times. A great way to find out more about him. He has quite a few GNs out this year, including AX:Alternative Manga which was chosen as a top GN of the year. He’s a Scot expat in Japan, now heavily steeped in manga… interesting story. Comics Worth Reading about Networked. 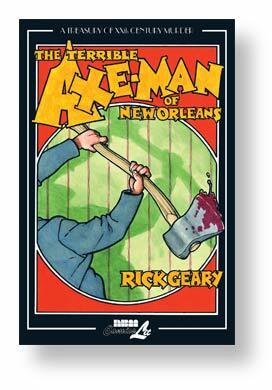 says Newsarama on Geary’s Axe-Man of New Orleans at your store now.